A new report from the Environmental Working Group (EWG) in the US says we should be concerned that American children may be consuming too many vitamins and minerals. One reason the report gives is that the explosion in fortified foods, paired with inadequate government policies, means that many children in the US are now consuming too many vitamins and minerals. Vitamins and minerals are essential for good health, and for many children, exceeding the required amount is unlikely to cause harm. But for some, there is a narrow band between an optimum level that benefits health and an excessive level that can cause harm. Unlike adults, whose bodies are much larger, children are more vulnerable to overdosing. Citing several government and academic sources, the EWG report summarizes how millions of American children under the age of 8 are getting too much vitamin A, zinc, and niacin from fortified foods and supplements. An excess of zinc can stop the body absorbing copper properly and result in anemia, changes in red and white blood cells and impaired immune function, while too much niacin (vitamin B3) can cause rashes and other skin reactions, nausea and liver toxicity. The EWG report shows that breakfast cereals and snack bars are often fortified with vitamin A, zinc and niacin in amounts that exceed children’s daily needs. In some cases, the amounts exceed the limit that the Institute of Medicine (IOM) – a branch of the National Academy of Sciences – considers safe for children. The report suggests that food companies are using high fortification levels to market their goods to consumers who – impressed by the high vitamin content –believe they are doing the right thing buying these foods for their families. Food serving sizes listed on breakfast cereals and other products are much smaller than people are likely to give to their kids, who end up consuming more added sugars, vitamins, and minerals than the label suggests. Finally, the FDA guidelines on voluntary food supplementation do not take into account current scientific evidence – the last update was 34 years ago. First, and foremost, we are only talking about processed foods, not real food. Snack bars and cereals have the vitamins and minerals stripped in processing, then synthetic vitamins and inorganic minerals are added to “fortify” the food. No one should be eating this junk anyway. I don’t think consumers are impressed with the fortification levels of processed food. They buy it because the kids will eat it. And they eat it because it is loaded with sugar. The sugar content, alluded to briefly in the report, is a much bigger evil than any potential overdose of zinc or niacin. In fact, zinc and niacin deficiencies are very common findings in daily practice. Children drinking tap water, run through copper pipes in most homes, need the zinc to offset the inorganic copper being leached from the pipes. Of course, why would any parent let their child drink tap water? I suppose if the let them eat junk food, they will let them drink water contaminated with endocrine disruptors and a host of carcinogenic chemicals. The artificial additives in these foods are also a bigger health threat than vitamin overdose. If you can not pronounce the name of the ingredient, you probably do not want to eat it. Education is the key. Until people learn to reject processed food and return to eating fruits, vegetables, and lean meats our society will continue to suffer declining health. 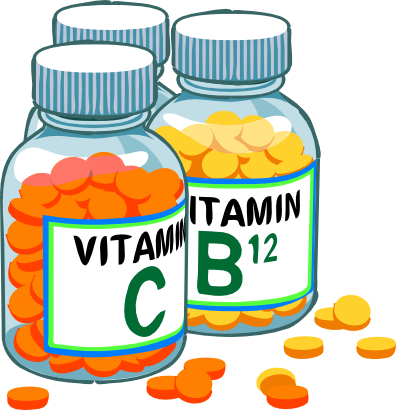 Do not be concerned about your child having too many vitamins and minerals in their diet. Be concerned about feeding them real food. Limit or eliminate the processed foods.